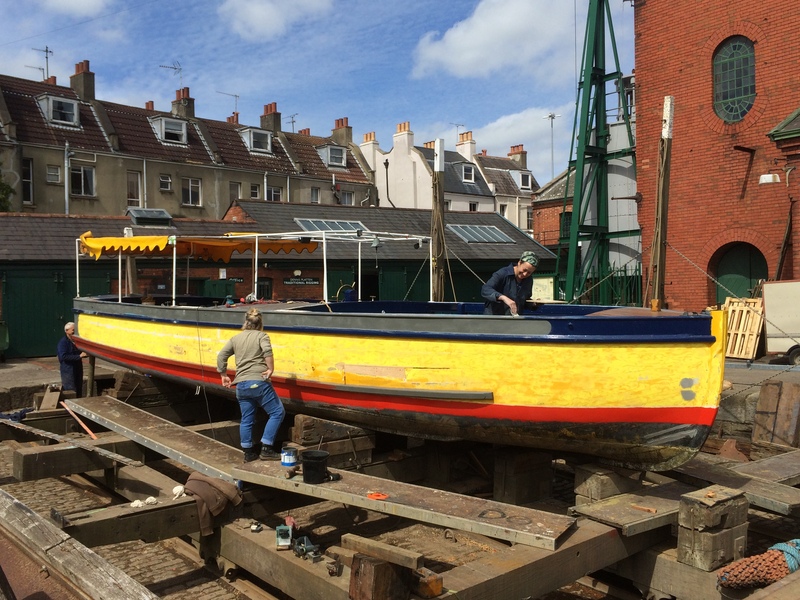 It may have been a bank holiday weekend, but a team of three were hard at work restoring Independence, a vessel owned by the Bristol Ferry Boat Company. On a 1880s slipway overlooking the picturesque Bristol Floating Harbour, they were lovingly painting on a grey undercoat before the distinctive yellow and blue colour was added on top. 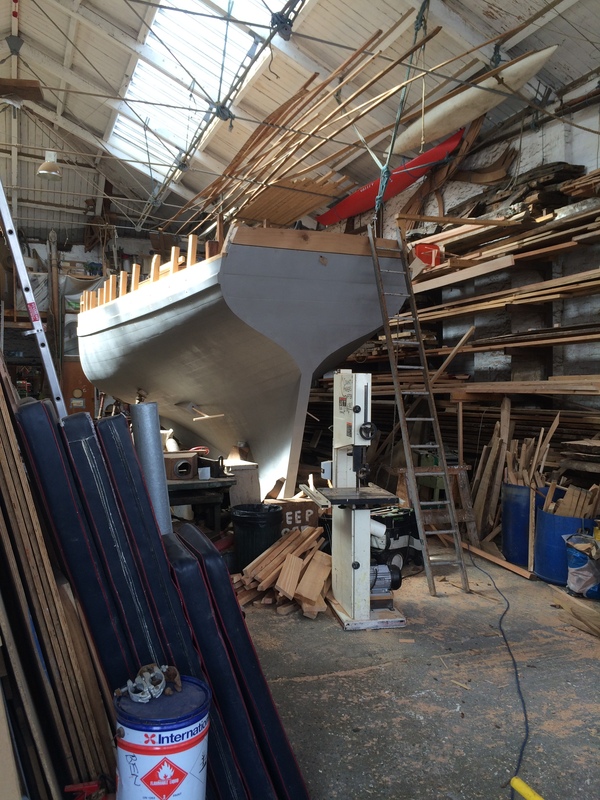 The rest of Underfall Boatyard – a site dating back to the 1830s – seemed pretty deserted, yet we were able to peer through workshop doors and appreciate that on a normal weekday this is very much a working area. In fact, of the 11 tenants currently here, three are traditional wooden boat builders. 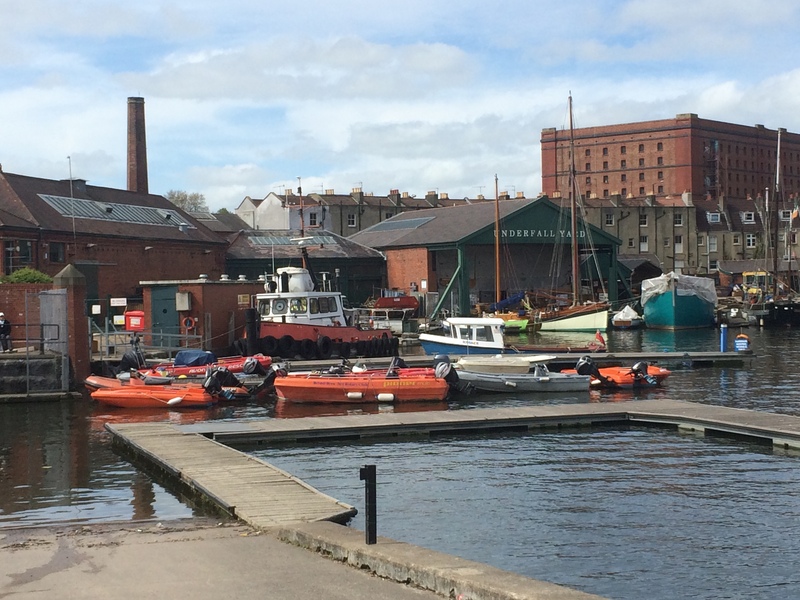 This is also where the harbour master has his office, Bristol City council has workshops, there are hydraulic lock systems and it is also home to historic dock sluices which stop the Harbour from silting up and overflowing. Underfall is a fascinating place that’s hidden away from the crowds, so to understand more about the site’s history and the transformation taking place, I went on a free guided tour with Sarah Murray, a very enthusiastic Community Learning and Volunteering Officer. 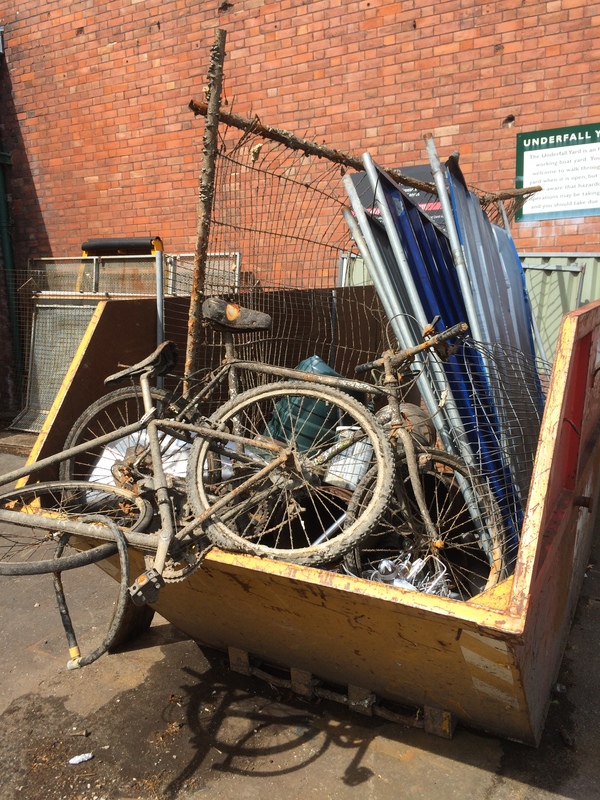 She is employed by the Underfall Yard Trust, which has run the site on a long lease from Bristol City Council (bizarrely, Bristol City Council then rents back some space) since the 1997 when many of the buildings were inherited in a terrible state of repair. Thanks to a £3.5 million Heritage Lottery Grant considerable work is taking place in the yard to enable more people to see its historic features. 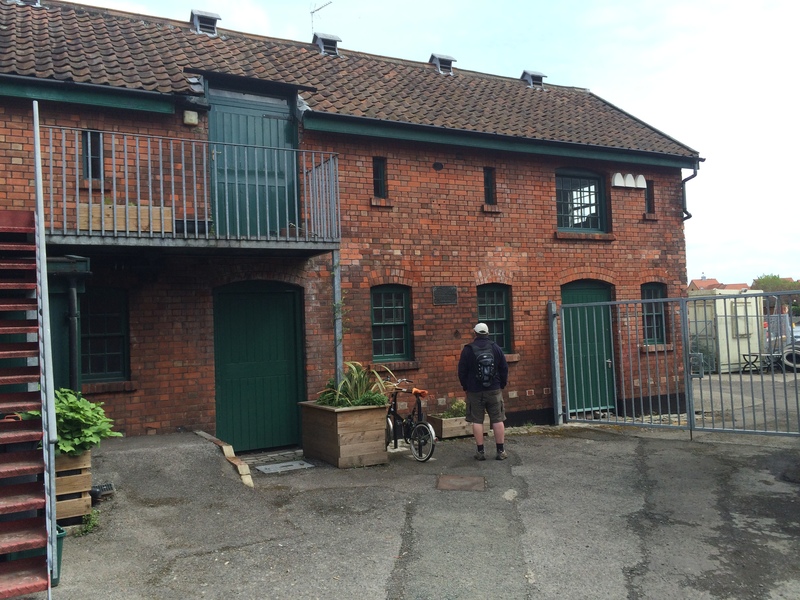 And next Easter a new visitor’s centre will be opened, which will chart Underfall’s history. Work is currently underway to record individuals’ personal experiences of the site (just weeks before our tour Sarah met a lady who sheltered from the Blitz at the yard, but had to be rescued when what she thought was her sanctuary started to flood). 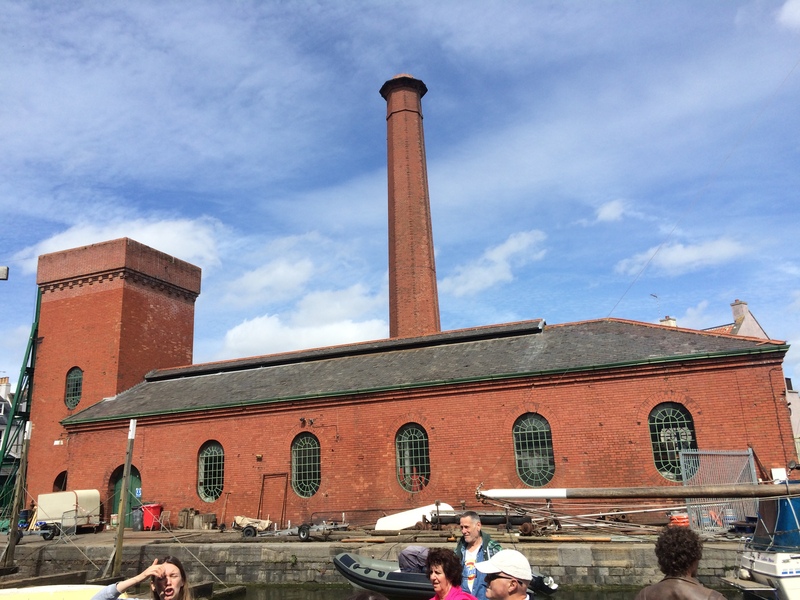 We were shown what is today called the Grade II* Power House, built in 1888, which powered the lock gates, cranes and bridges of the docks using a hydraulic system (the towering terracotta chimney survives from when the engines were powered by steam). It replaced another engine house across the water (now the Pump House pub and restaurant) which was proving inadequate given the power needs of the docks. The Power House was powered by electricity in 1907 and the three pumps introduced then (and operated 24 hours a day) are currently being restored. As for the red-brick building itself, it is currently being renovated and will be used as the new visitor’s centre. To understand the origins of Underfall Boatyard, you need to go back to 1804 to 1809 when the Floating Harbour – involving a series of lock gates which brought a constant water level – was built. Ever since Bristol’s port came into being, many a ship captain had cursed the tidal nature of the River Avon which left their vessels stranded on the mud until the tide rose (there are reports of ships needing to be unloaded at 3am) and so the innovation credited to engineer William Jessop brought a much-needed solution. We walked with Sarah a short way from Underfall to the point where a man-made feeder canal splits away from the River Avon. This channel – known as the New Cut and carved out of the earth by Irish navies – was part of the Floating Harbour project and helped maintain the water level, as well as providing a means for barges to access the River Avon, Bath and the Kennet and Avon Canal. Isambard Kingdom Brunel is well known for his work on the Clifton Suspension Bridge, the Great Western Railway and a series of steamships, including the SS Great Britain, but he also had a hand in dockside improvements. He suggested altering Jessop’s overflow dam to provide underfalls through the dam to remove the silt before returning it to the New Cut. And the surrounding land was reclaimed to create the Underfall Boatyard (previously it was the natural course of the River Avon). 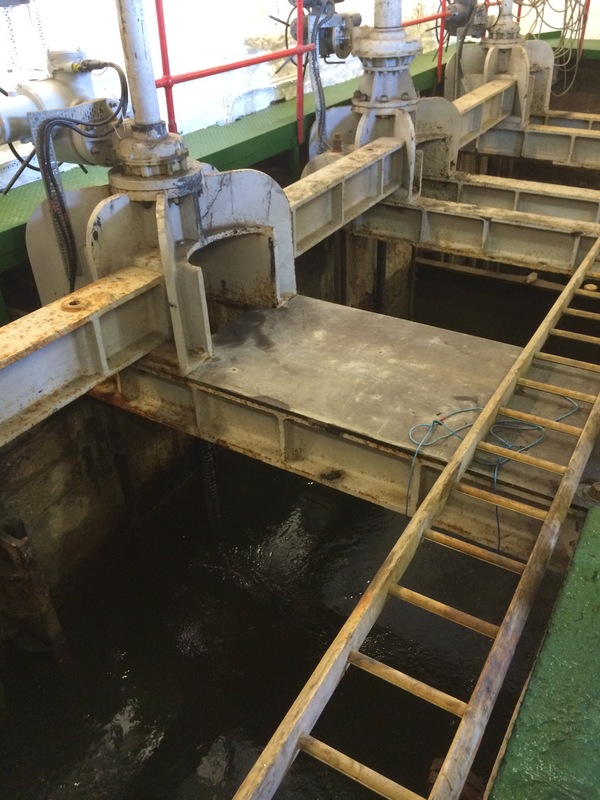 The working sluices – two of which are used to control the harbour water level and another two for discharging dredged silt – are housed in a locked redbrick building which our guide showed us. Until 1988 the system relied on people manually checking the water levels and taking the necessary action, but now everything is computerised (although we were assured that humans still regularly check levels). Important though Jessop and Brunel are, Sarah believes the real hero in the story of Underfall is an engineer called John Ward Girdlestone who between 1880 and 1890 was responsible for developing most of the buildings and structures that remain on the Underfall site. In particular, He oversaw the creation of longer sluices and enlarged the yard. Entering the workshop is like entering a museum. Yes, there are modern health and safety notices and radios to keep the workers entertain, but they also still have the old forges and extremely old Cornish boiler. 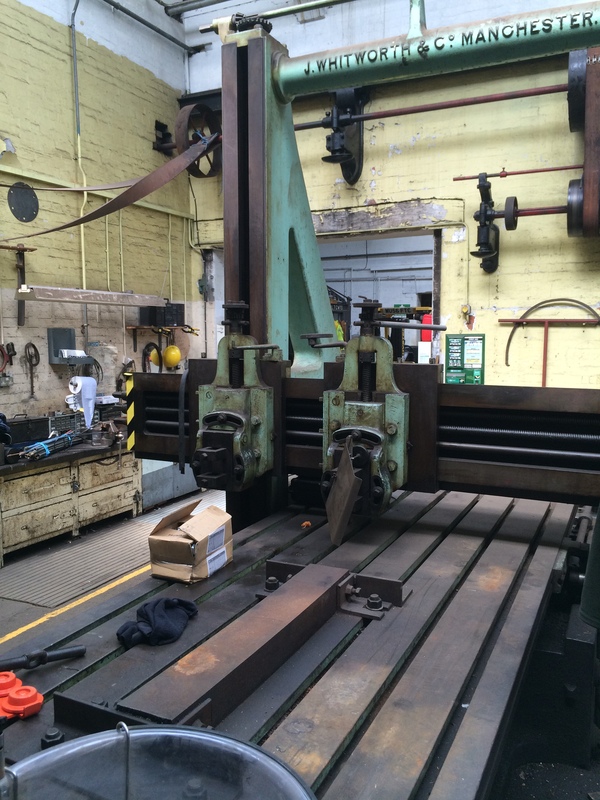 “It is one of the only survivors of Victorian dock workshops in the world and its completeness is unique,” says the history page on Underfall’s website. It is certainly an impressive place. Underfall Boatyard is a Scheduled Ancient Monument which gives it the same protection as Stonehenge. It’s a fascinating place that was instrumental in making Harbour’s success. I look forward to returning in a year’s time when the new visitor’s centre and more of the harbour walkway will have been opened up to the public.